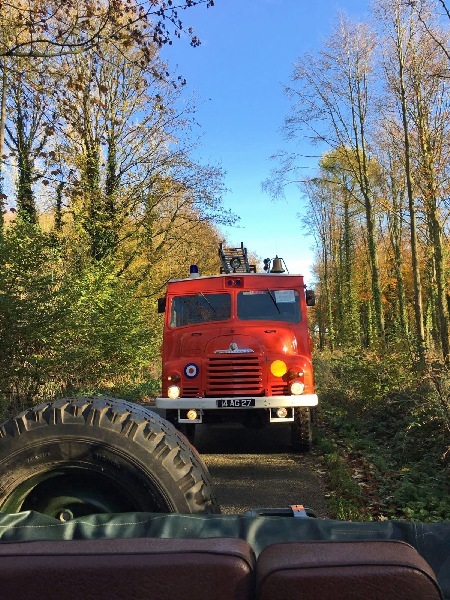 A road run organised by John Underwood, following on from the idea from Tim Webster for a Remembrance Day vehicle run to Weldon village near to Corby, North Northamptonshire, took place on Sunday, November 13. Tea and bacon butties were available for those who arrived at East Carlton for around 0930 hrs, and to our surprise the vehicles kept arriving. 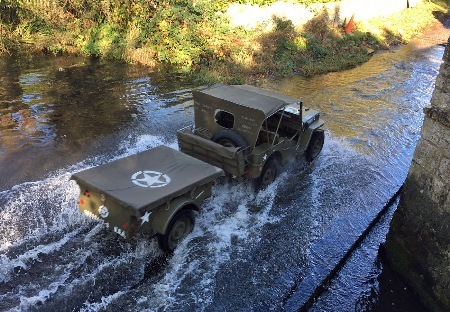 There were 16 vehicle in total, including a whole clutch of very fine Jeeps, a big red fire engine (Green Goddess), a long wheel base Land Rover, a Dodge Pick up truck, complete with blue flashing lights, a Standard Flying 10 staff car, a Champ, a Ferret and even a Humvee! We set off around 1000 hrs for the service at Weldon village with the sun shining, and the vehicles looked resplendent parked up around the War memorial. 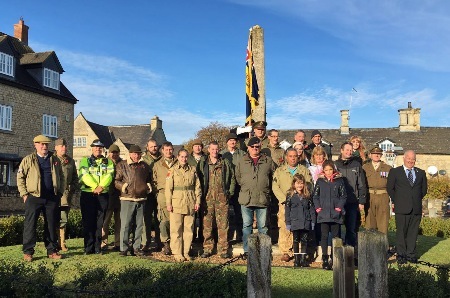 It was a very good turn out from the village, all of whom were very impressed by the military vehicles. After the service there was a short delay while all the great minds and experience of the MVT tried to start one of the Jeeps. 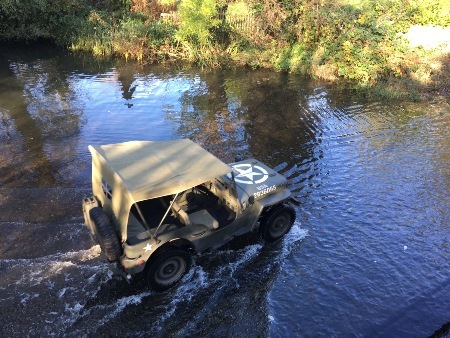 With the jeep started , we headed off back to East Carlton for lunch, via Geddinton Village and it’s fine ford, although only suitable for the smaller vehicles due to the narrow approach road. We continued on through some fine country lanes with a convoy of 16 creating a very impressive spectacle, turning many a passers-by head. On returning to East Carlton, lunch of beef stew and a choice of pudding were enjoyed, with a big thanks to both Judith and Virginia for their hard work in preparing the meals, and there certainly wasn’t much left. We again set of at around 1400 hrs on another scenic drive, this time via Gretton, to our second service of the day at Deenethorpe airfield, where a short service was held to commemorate the 401 BG of the American 8th Air Force. Overall, an excellent day which we hope to repeat again, so thank you to all those that turned up, and helped make it such an enjoyable day. Starting a reluctant Jeep . . . should've bought a Champ!